Help the dogs by TWEET BOOST this article! Romania's second #Gulags "the Romanian Euthanasia Program" - now issued on man's best friend - the dog. On 25 September 2013 the Romanian Parliament voted for an extermination campaign on Romania approximately 2 million abandoned and homeless dogs. Since that date it has been free for anyone to be employed by ASPA as a dog catcher and earn money to catch dogs, both abandoned and dogs that someone takes care of - no dogs are safe because the government pays well for every dog that gets caught and transported to the municipal enclosures where they are kept for 14 days and will then be euthanized if they remain unadopted or not claimed. The government authority for the management of stray dogs ASPA 'Autoritatea pentru Supravegherea şi Protecţia Animalelor' - Authority for the Supervision and Protection of Animals. use catch methods that are extremely brutal and cruel - net, bag net, snares, wires are used - virtually, all tools that can be used, are used. The dogs gets caught, dragged in the dirt or on concrete many feet and then pushed brutally down into grid boxes or thrown into trucks. Many dogs die when they are caught - they become strangled, get the neck broken or tearing of arteries, because no consideration or sympathy is given to the dogs. The large number of homeless dogs in Romania have given their status as vermin and the dog catchers consider themselves fighting a battle against pests. In the substandard municipal enclosures committed atrocities that no one sees because it is forbidden for citizens to visit them. The dogs are not taken well care of and they are unlikely to get any food or water during these 14 days before being euthanised which leads to fights, killing and cannibalism among the dogs. The dogs is given virtually no chance of being adopted or be given back to the owner. 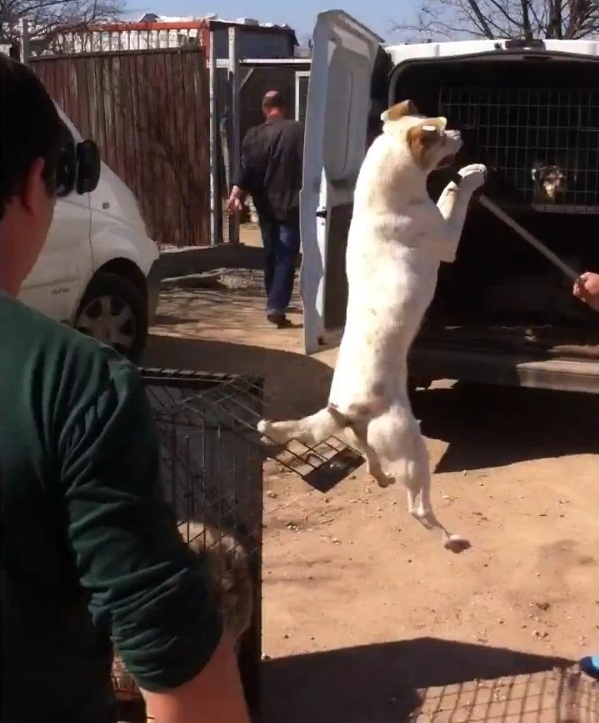 Many testimonies and movies on the catch methods, demonstrates the complete disregard that the dogs are suffering and get hurts, and we can almost assume that the killing is not painless and various cruel methods are used in all Romanian municipal enclosures. It's vote-hungry governments fault that a country is overrun with abandoned animals - they want to avoid uncomfortable decisions and laws (like a dog ownership registry) that can affect an election negatively - this is lax governments acting selfishly and in short terms, and allowing animal cruelty and corruption - We, the European citizens are demanding more of an EU Member State! 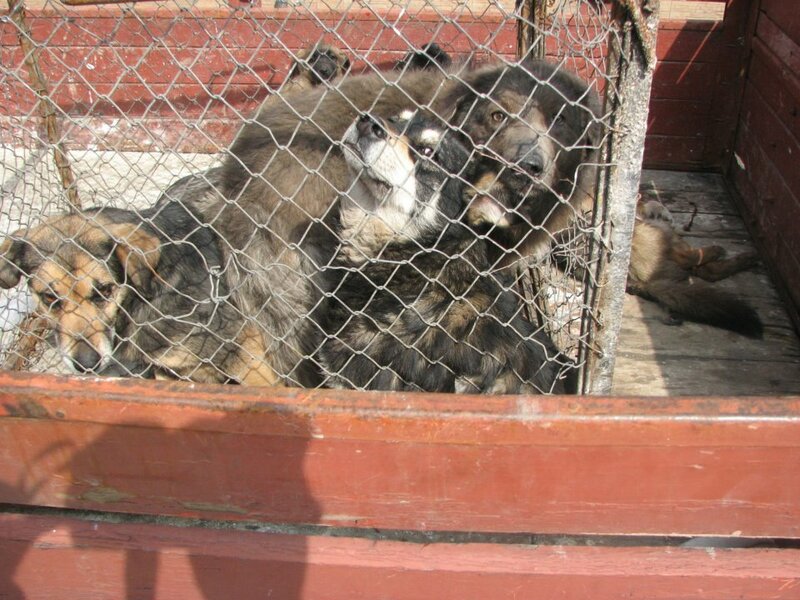 Open letter to the Romanian Government - Petition. 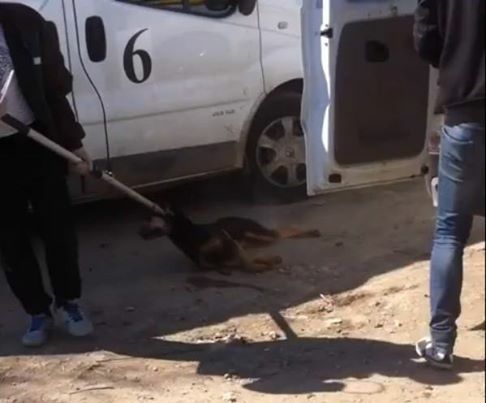 Why allow, Romania's current government, its citizens, to still act irresponsible and allow dogs to multiply uncontrollably so that the country still has stray dogs? When will Romania as a Member State of the European Union since 2007, to take responsibility and implement laws addressed to the people of Romania? - which is the root cause of the problem of abandoned and homeless companion animals - dogs that the country later renames to stray dogs - and use as a business, known as "the management of stray dogs". Western Europe has no stray dogs since effective laws exist to prevent this. These laws should urgently be introduced throughout the EU and Europe. Responsibility and laws must be addressed to the citizens beginning with a central dog ownership registry - if other countries make that happen, can also Romania do this - there is NO acceptable excuses that this is not already implemented. A dog registry is a registry for ALL dogs in a country (purebred and mixed breeds) and for anyone who has a dog - the dog/dogs is linked to an owner. The registry is usually handled by the Board of Agriculture. All dogs in the country are legally required to have ID markings, either by tattoo or microchip. This shall be done by an approved veterinarian who sends the ID document of the dog to the Central Registry. All dogs in the registry always has a registered owner, which means that the registry is a dog ownership registry. All dogs in the country will always be identified with one owner. The register contains the dog's ID number and the social security number and housing data of the owner. An ID marked dog, must always have a registered owner that can be traced from a central registry. If a dog changes owner, the register is updated by the new owner, so that the dog always has an owner who is responsible for the dog. You as a dog owner has a duty to take care of your dog in the best way and to follow the directives and animal protection laws. You are also required to take care of your dog in such a way so that the dog does not disturb the community, for example, to ensure that the dog does not reproduce without supervision. As an example, this is the Swedish Board of Agriculture central dog register (translated by Google). 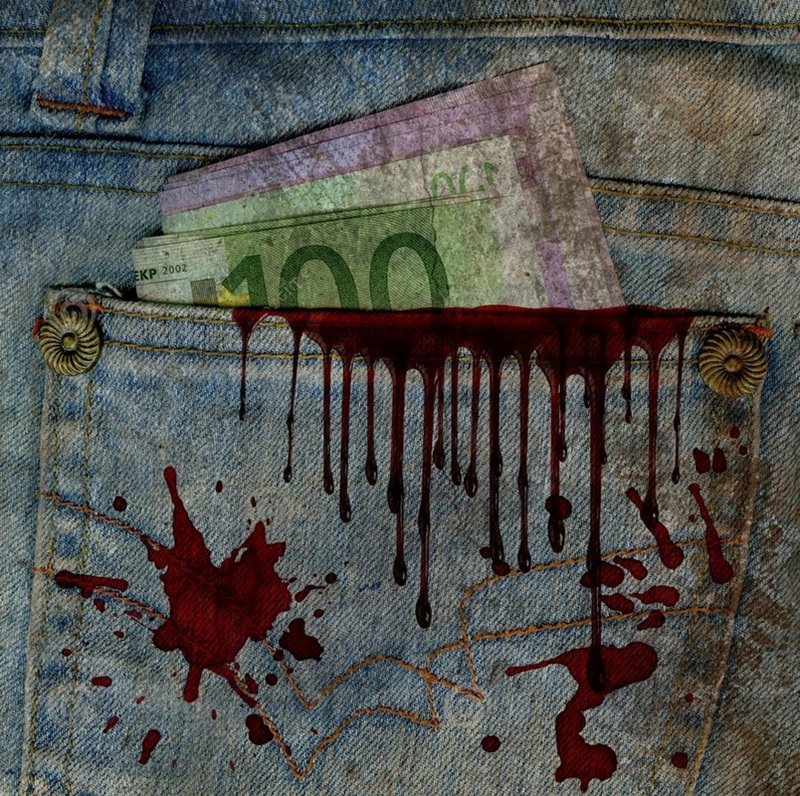 Fees are a one time fee for each owner and costs about $ 8 or 6 Euro (not $ 50 as in the translation of this page). These registry, most Western European countries have, and they have not abandoned and homeless dogs - Since many Western countries shows for decades to have communities with no abandoned and homeless dogs - can any country do this, if the governments provides citizens the correct tools and laws. Authority for the Supervision and Protection of Animals in those countries are protecting the animals against atrocities and bad owners - they do not hunt homeless defenseless animals and then committing animal cruelty and killing - they protect the animals and follow animal protection laws. Romania must immediately introduce Central Dog Ownership Registry and that ALL dogs are ID tagged by Microchip and registered with a responsible owner. That the owner is obliged by law to have such a watch over the dog - so that the dog does not cause problems for the community, for example, multiply by mistake - and the registered dog owner is obliged to provide basic care for the dog according to laws, regulations, conventions and treaties and that this must be respected. 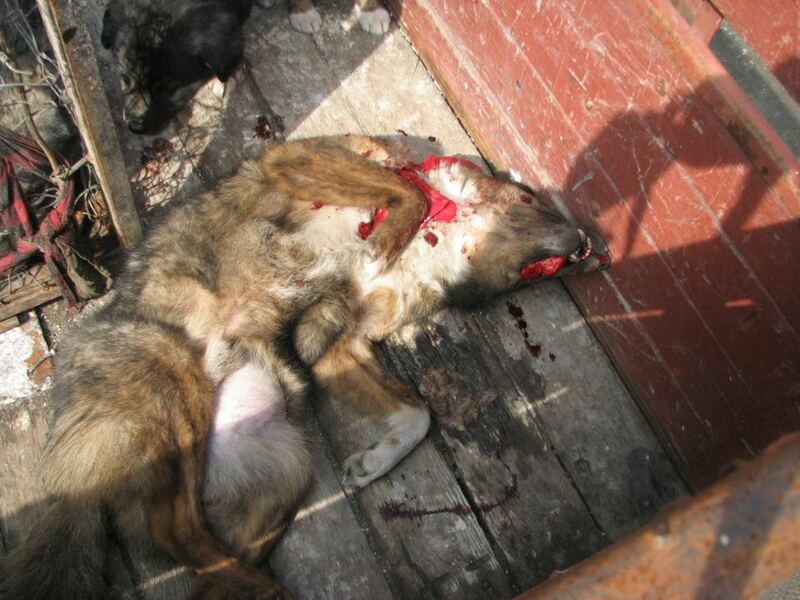 We, the citizens of Europe, wonder why this is not yet implemented and why Romania as a Member State of the European Union chooses cruelty to animals by cruel dog catching methods and deliberate starvation and assassination of dogs in municipal enclosures - rather than targeted laws to those responsible namely, the citizens of Romania - so that the cruel management of stray dogs ends. The hunt for money has gone so far as to make raids and stealing dogs from private enclosures that charities owns and operates, even old and sick people have had their dogs stolen. Romanian Government - your incompetence and cruel approach to animals, can not be hidden anymore - the world is watching you, with disgust! It's never too late to recognize shortcomings and faults - change your political orientation and introduce laws and regulations governing the citizens of Romania - NOW!